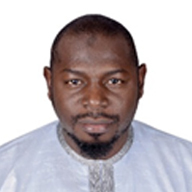 Ibrahim Kangiwa is a graduate of Management from Usman Danfodio University, Sokoto and has an MBA from the same university. Prior to joining the National Pension Commission (PenCom) in 2007, he worked at the Nigerian Investment Promotion Commission (NIPC), where he was a policy analyst. He currently heads the Market Analysis & Policy Unit within the Investment Supervision Department. The Unit is responsible for developing and updating the various Regulations and Guidelines on Investment of Pension Fund Assets as well as providing information on financial market activities. He is married with children.